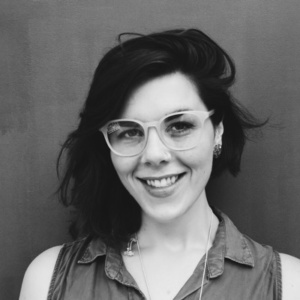 The Book Doctor | Books for Teaching Early Money Smarts? It's never too early to start learning about how to make your money work for you. 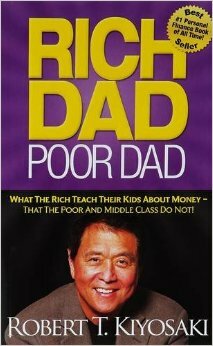 Robert Kiyosaki's book Rich Dad, Poor Dad is a great place to start! My son is turning sixteen in a couple of weeks. In the past he’s done some odd jobs to pick up some spending money, but he is excited about soon being able to get a job of his own with a “real paycheck” (his term). He’ll never have had this much money to himself before, and I want to help make sure that he is being smart about what he does with it. I myself am not extremely fluent in personal finance, so I realize that before I help him, I’ll need to do some learning of my own. Do you have any recommendations for a good book to start with? Gosh, I hope that’s your real name. It’s contextually perfect. Anyway, hello! It’s great that you’re beginning to think about your kid’s financial future now! If he starts being smart about his pay checks at 16, who knows what’s possible? Maybe he’ll get to retire to a futuristic snowboarding community at 30, fund cures for mysterious diseases, or own an entire chain of islands! Really, good show getting invested now in how your child invests in his financial future. It turns up you’ve picked up on a big bad educational lacuna. Despite being vital for both personal and societal prosperity, we receive little to no training in financial intelligence. Kids aren’t taught about subjects like saving or investing, and as a consequence are clueless about topics like compound interest—as clearly evidenced by the fact that, today, even high schoolers often max out their credit cards (though what high schoolers are doing with credit cards in the first place is beyond me). What we need is a good, independent-learning supplement, and there are plenty of good books for that. The one that seems to fit best fit your situation, however, is Robert Kiyosaki’s Rich Dad, Poor Dad (and it’s good for mom’s, too!). Kiyosaki is an investor and entrepreneur with an estimated net worth of over $80 million. Plus, he retired at a practically fetal 47, which suggests he knows what he’s talking about. In Rich Dad, Poor Dad, Kiyosaki shares the lessons on money that rich parents teach their kids, blended with good, common sense suggestions, and a few more radical-and-anxiety-provoking-but-useful strategies with which it would behoove us all to get a little more comfortable. He covers how to take smarter risks; understanding how greed and—even more significant—fear can lead us to make not-so-great decisions when it comes to our finances; and encourages us to study the tax code as though it’s fine literature. Useful. And as for you, Lady Cash, don’t feel like you’re all alone when it comes to being a little in the dark about managing your money: so are many (if not most) of us. In the United States, for example, 50 percent of the workforce is pensionless, and of the rest, nearly 75-80 percent have ineffective pensions. That you’re starting now—and helping your child build a healthy financial future—is a major step in the right direction. #Alwayslearning, indeed!